If you work from home or in a busy office, it can sometimes seem impossible to get work done. In 2012 I wrote 9 Tips on Working from Home, focusing on how to block out distractions and organise your day’s tasks. For the 4 million people in the UK who work from home. For far too long I’d get work done by doing a number of 11 hour days followed by a day or two recovering. Apart from being a bit anti-social, it was not that good for my health. Ideas in that post changed how I schedule my working day. I rarely work beyond 7pm now and am far more productive. However, there was still more I needed to learn about prioritising tasks. The phrase, “You don’t know what you don’t know” was never more true. With the benefit of webinars, business books and experience, I realised I didn’t know steps 4-7 listed here. I now follow these 7 steps on a daily basis and it certainly has helped me to improve productivity. For many, writing a daily task list is the only bit of planning people do. It’s just stage one, but it’s a vital one. Take a page of A4. Add a right hand column, one third of the width of the page. Put 3 boxes next to each one. List all the tasks you can think of. Finding what is really urgent is an essential skill, mastered by the best PAs. Qualify the urgency of each task. If it was delivered 2 days later, what would be the implications? If there aren’t any, this isn’t genuinely urgent. Colour green the first box of each one of these urgent tasks. From your task list, what tasks are fee generating or a major threat to your business turnover, if not completed? Colour these important tasks yellow. 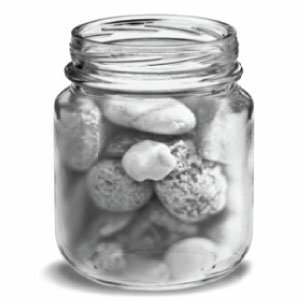 Imagine you had to fill a jar up with rocks. You’d start with the big rocks, then slot in smaller rocks where you have space. Organise your day in the same way. Pick two big rock tasks. Colour in blue two of these tasks that are likely to take over an hour to complete. Tackle two blue box tasks per day. Start your morning and afternoon session with a blue box task. Choose a blue with a green and yellow box. Don’t have any of these? Pick one with a yellow and blue box. No blue box tasks with a yellow box? Pick one with a green box. Little rocks are 15 – 30 minute tasks you can slot in, in between the major tasks. Start with green and yellow box tasks. Once they are done tackle the yellow box tasks. If you get all your colour coded tasks done before the end of the day, well done! Have a cup of tea. Now take a look at what’s left. These are the non-important, non-urgent shorter tasks. Complete as many of these as you can before the end of the working day. Try these 7 steps for one week. See if you work more regular hours and get more work done than in the previous week.